Free Delivery with 3 day rentals. Seasonal Car- Available again in spring of 2019. These exotic Beauties maybe taking their long winter sleeps, but will be returning in Spring. Be the first to book your rental for this coming April 2019. GSD Rides is proud to introduce the first of our Exotic car line up. 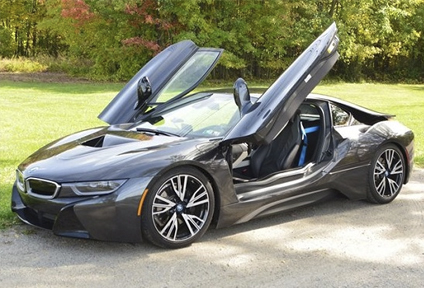 The BMW I8 is an undeniable head turner. More than just looks though. It’s an absolute thrill to drive as well.